The original building of the Jewish orphanage set up by the famous pedagogue and writer Janusz Korczak in the west of Warsaw. When the Nazis sent the children of his orphanage to Treblinka he heroically declined the opportunity to escape and rather chose to stay with "his" children who he thus accompanied into the gas chambers where he was murdered alongside them. Today, the building still functions as an orphanage. 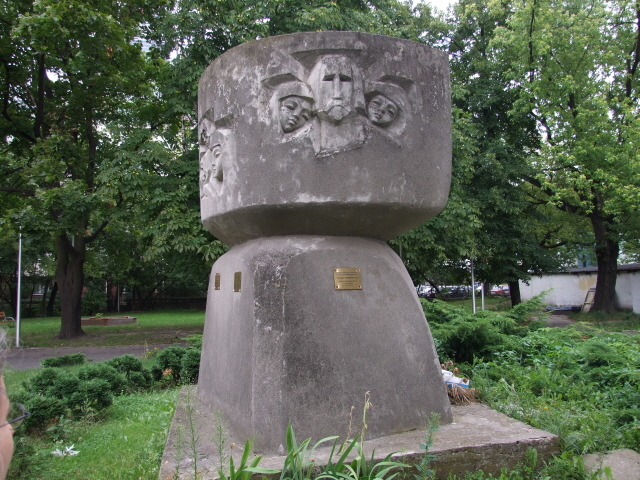 In front of it is one of the many Korczak memorial monuments. More background info: Janusz Korczak is actually an adopted pen name, his real name was Henryk Goldszmit. He was born in 1878, studied medicine and became a paediatrician. His fame, however, derived from his writings. He published several children's stories and academic works. In these he propagated a new view on educating children that was revolutionary at the time, namely in that it was based on equality and respect rather than the authoritarian attitudes towards 'minors' that was otherwise the unchallenged norm at the time. Later, in 1911, he became the director of an orphanage, in which he put his pedagogical theory into practice. The children virtually ran their own mini-republic, with their own parliament, court and newspaper. In many ways, this was a precursor to A.S. Neill's similarly reform-oriented boarding school Summerhill in Great Britain (founded in 1921). While Korczak concentrated his work more on his orphanage, he still wrote and even had his own radio programme. The latter, however, was cancelled in the course of increasing anti-Semitism. Korczak was himself a Jew and had travelled repeatedly to Palestine. This heroism and determination to stand by his principles made him one of Poland's most outstanding martyrs in the Holocaust. He is also honoured for this at Israel's Yad Vashem centre. 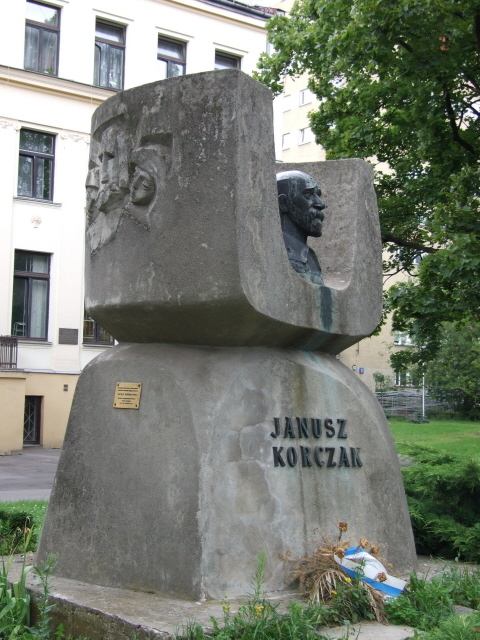 Many other memorials to Korczak can be found – including a particularly moving one in Warsaw's Jewish cemetery on Okopowa street. But the one at the orphanage and the one at the Treblinka memorial site naturally stand out because of the historical authenticity of their locations. What there is to see: Not much. 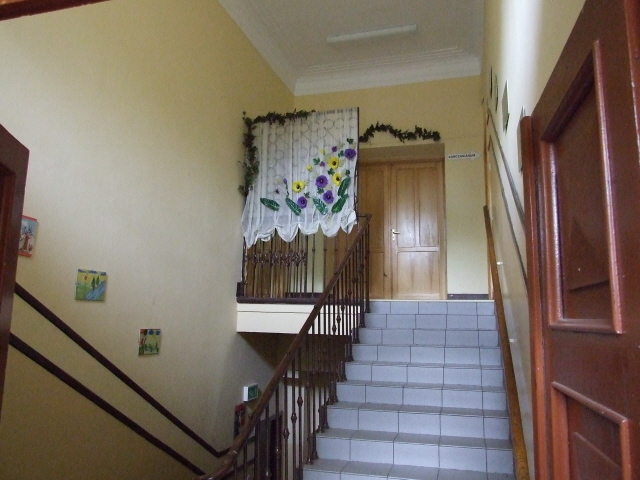 The building is still run as an orphanage, but you can have a look inside. Apparently there's also a small exhibition in one of the rooms – however, when I visited in August 2008 it was in the middle of the holidays and the exhibition room was closed. Nor was the caretaker at hand, that some guidebooks say you can buy souvenirs from. So I can't comment on those aspects. However, you can still simply stand in front of the building for a bit of quiet contemplation. 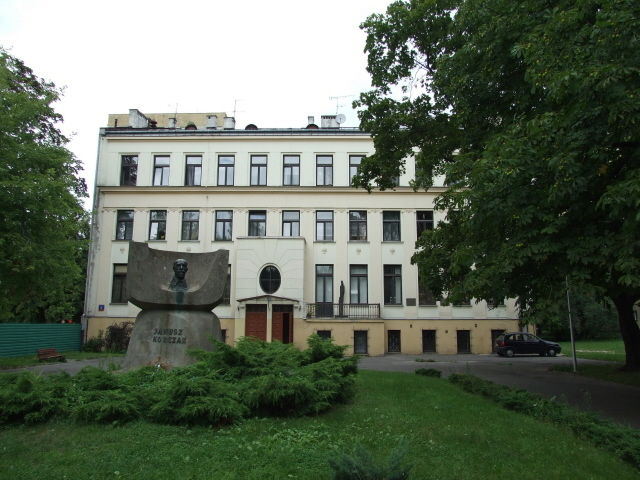 To aid this there are also a plaque and a relief-like memorial of Korczak on the outside wall, in addition to the main monument incorporating a bust of Korczak that stands in the yard in front of the building. Location: west of Warsaw's centre, about a mile and a half from the Palac Kultury landmark. Set back from the road at ul. Jaktorowska, which branches off the Tomarowa boulevard. Access and costs: quite easy to find; free. 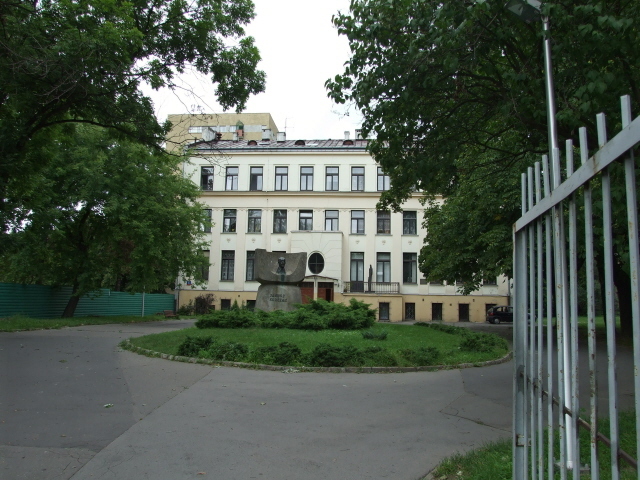 Details: to get to the Korczak orphanage from the southern side of Warsaw's city centre, e.g. from Palac Kultury or the central train station, take tram line No. 22 and get out by the Warsaw Uprising Museum. Just one block further up the road, ul. Jaktorowska branches off to the left, the orphanage is about 200 yards down the road on your right. From the Old Town, tram line No. 32 takes you to the same spot. Or take the bus, No. 106 goes all the way east to west from the university on Krakowskie Przedmiescie. Time required: Having a look at the building and the monument outside won't take more than a few minutes, the exhibition room was closed when I visited (in August 2008), but I presume that won't be so time-consuming either. It's more a place for quiet contemplation than one of commodified information overload. Combinations with other dark destinations: in general see Warsaw – right round the corner is the Warsaw Uprising Museum, an absolute must-see site when visiting Warsaw. So that would be the most natural combination. The tram lines going north along Okopowa also take you to the Jewish cemetery (with its own Korczak memorial) and on towards Rondo Babka, near the northern end of the Ghetto Trail at Umschlagplatz. Combinations with non-dark destinations: see Warsaw.